Still looking for a good place to try good Oriental vegetarian food? Try the new restaurant at Kenilworth Hotel. The name is a play on Mekong and the restaurant doesn’t fail to capture its essence. Mekong is one of Asia’s longest trans-boundary rivers that cuts through six different South Asian countries (Vietnam, Thailand, Cambodia, Laos, China and Myanmar). 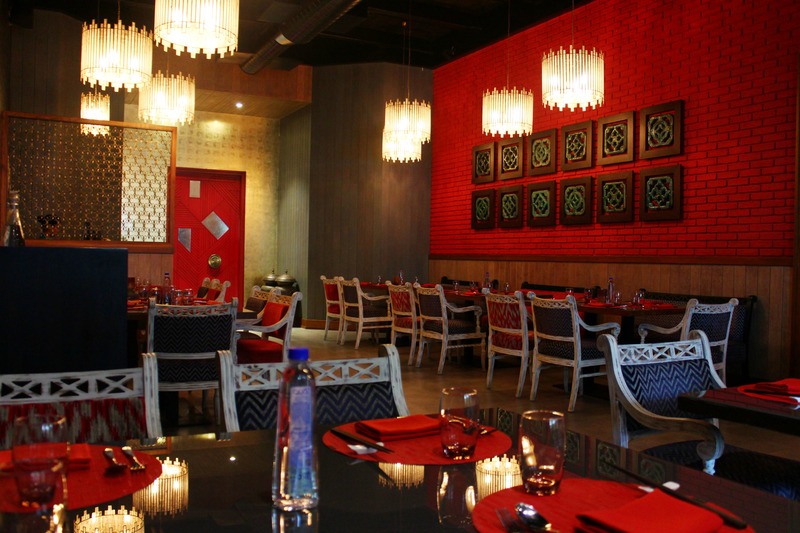 And the restaurant aims to capture the culinary culture of the region. Walk in and you will find deep red interiors with hints of gold and vintage decor accessories that sings of an Oriental influence. This place doesn’t do any of the Indianised chilly paneer or veg manchurian stuff. Instead they have fresh, and authentic flavours. The deliciously refrehing lemongrass and ginger drink is perfect to start off your meal. Follow it up with the tender and gooey cottage cheese and celery dumplings or the pickled asparagus and French beans salad. For the mains, pick the special Mae Kong Buddha Rice Bowl (it’s a meal in itself, tbh) or try their Chilli Garlic Soba Noodles (Japanese buckwheat noodles). Compliment it with Kung Pao tofu (we loved the sweet chilli flavours of the sauce and the silky texture of the tofu) or with the delicious stir-fried pak choi and shitake mushroom (this goes well with the shitake and edamame fried rice). Finish the meal with a light dessert of jellied water chestnuts served with coconut cream and you will be in heaven. Everything is priced between INR 300-400. Mae Kong will introduce mock meats soon (it will be a first in Kolkata). Until then, enjoy a hearty vegetarian or Jain meal. Check here for more deets.